PS Furniture previews a new family of chairs developed in collaboration with iconic designer Giancarlo Piretti. 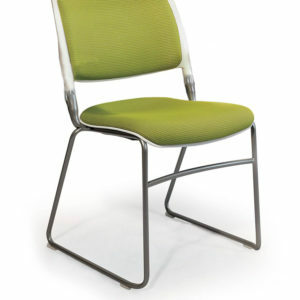 Giancarlo has been a leader and innovator for many years as well. 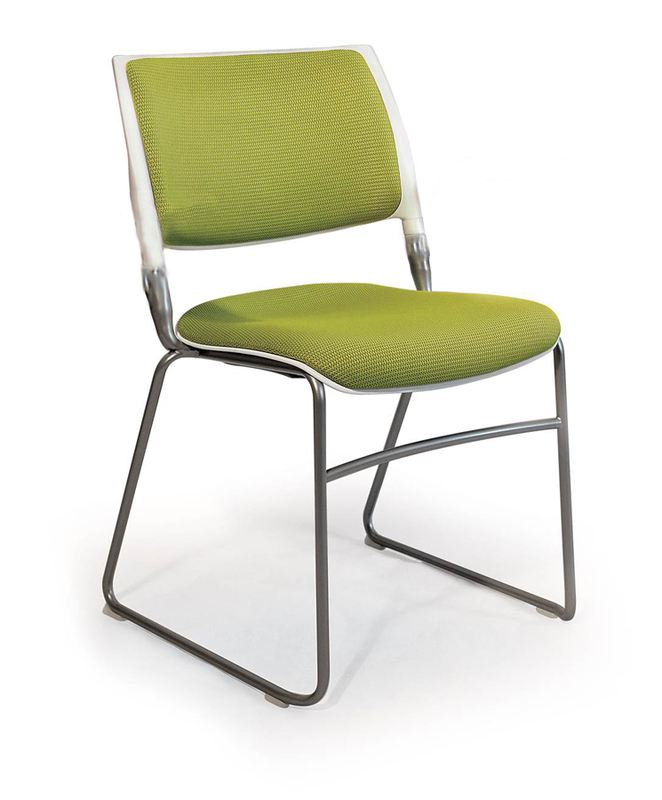 The latest creation stemming from Giancarlo’s research and design, the Nima chair, capitalizes on a vision for superior comfort with an elegant style. 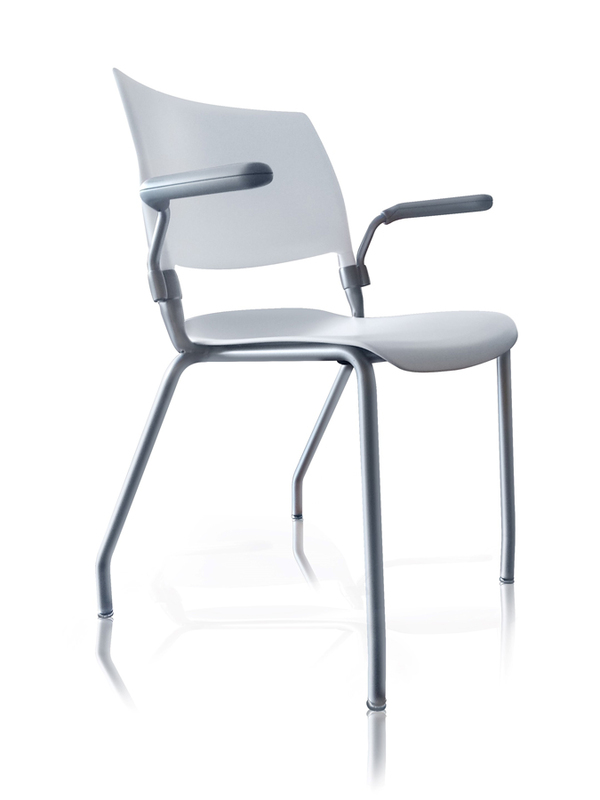 Nima’s patented articulating back mechanism and other components are discrete and minimized, letting the chair’s elegance be the design statement. 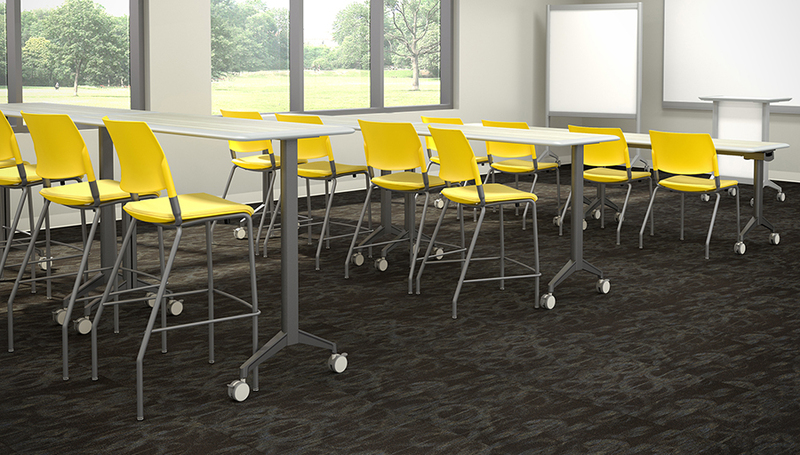 Nima’s desk, bar, and counter height seating allow multi-tiered classroom configurations, giving teachers and students better line-of-sight. 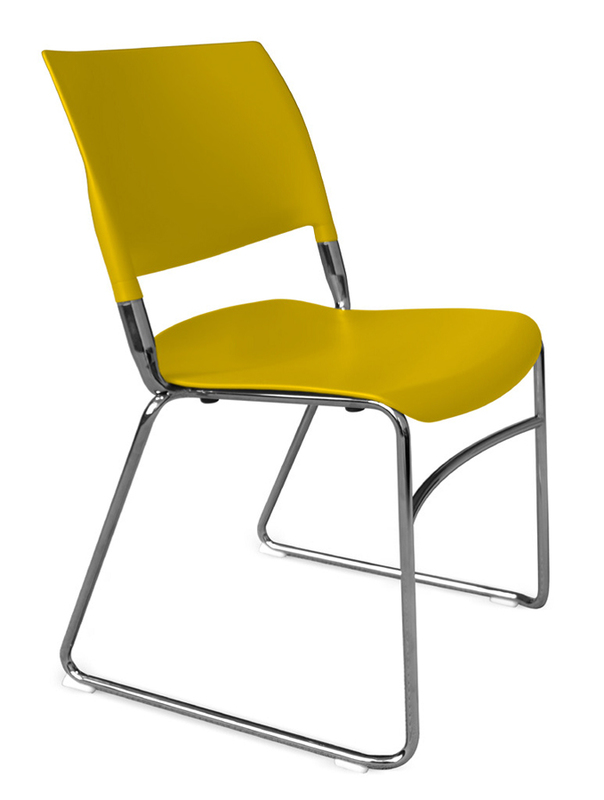 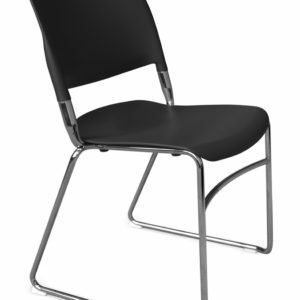 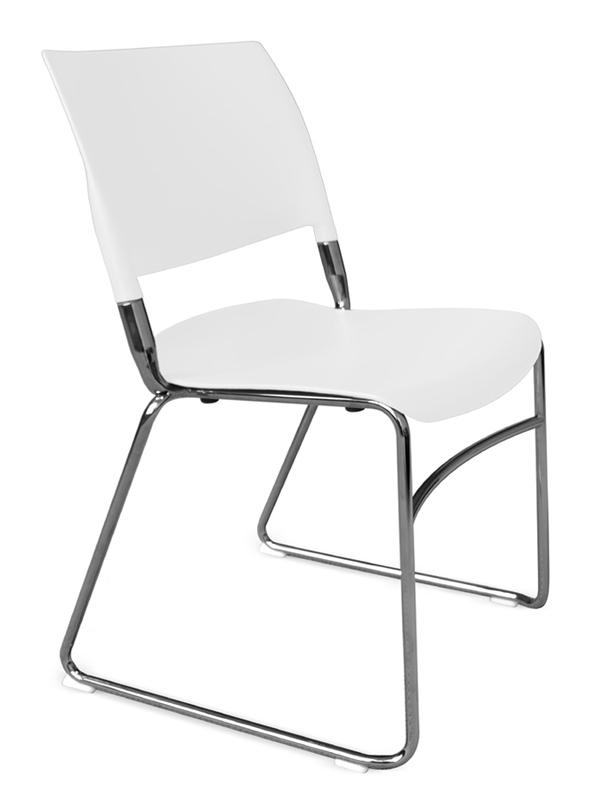 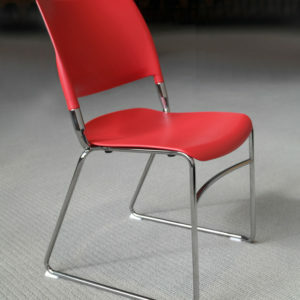 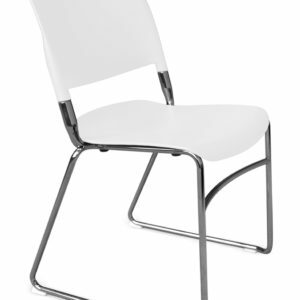 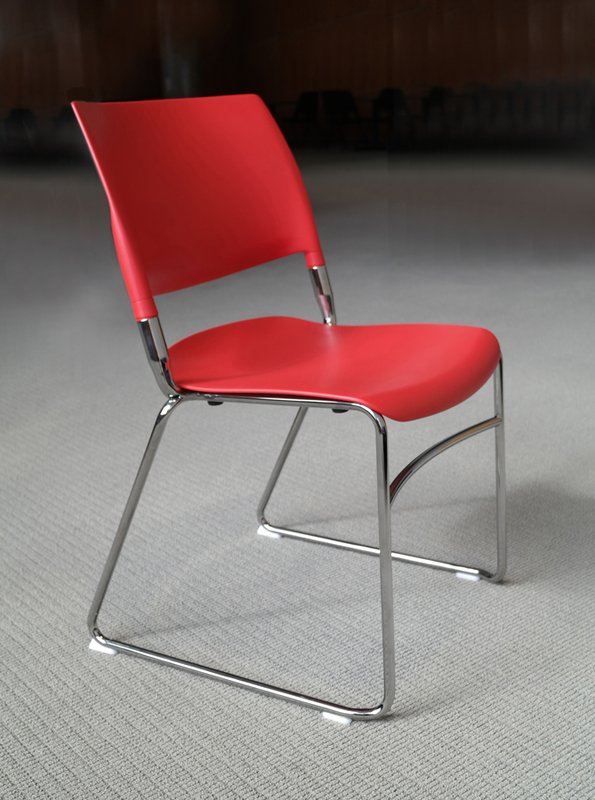 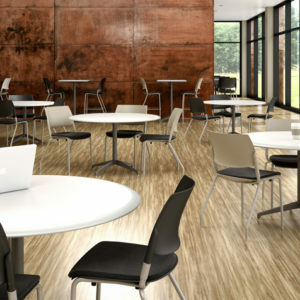 Nima is an inspiring multipurpose chair that provides exceptional comfort through a sophisticated minimalist aesthetic. 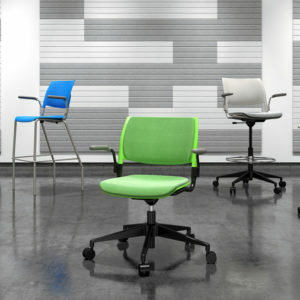 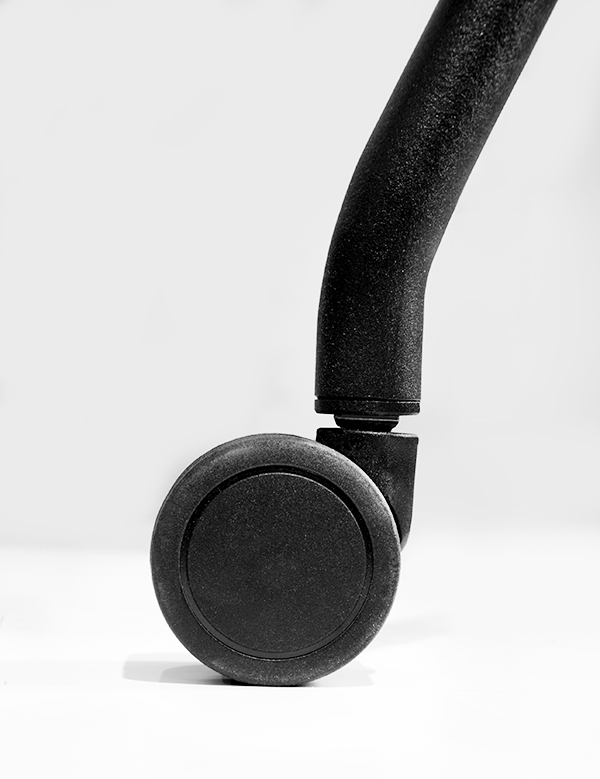 With 12 available shell colors and 5 different finish options, Nima can complement any environment. 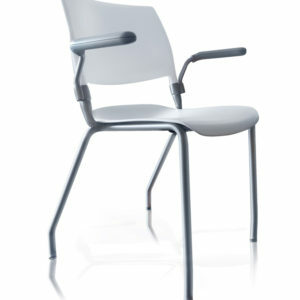 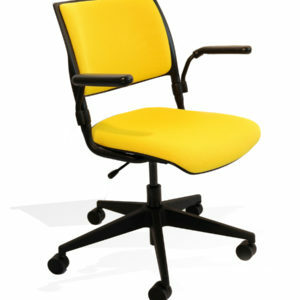 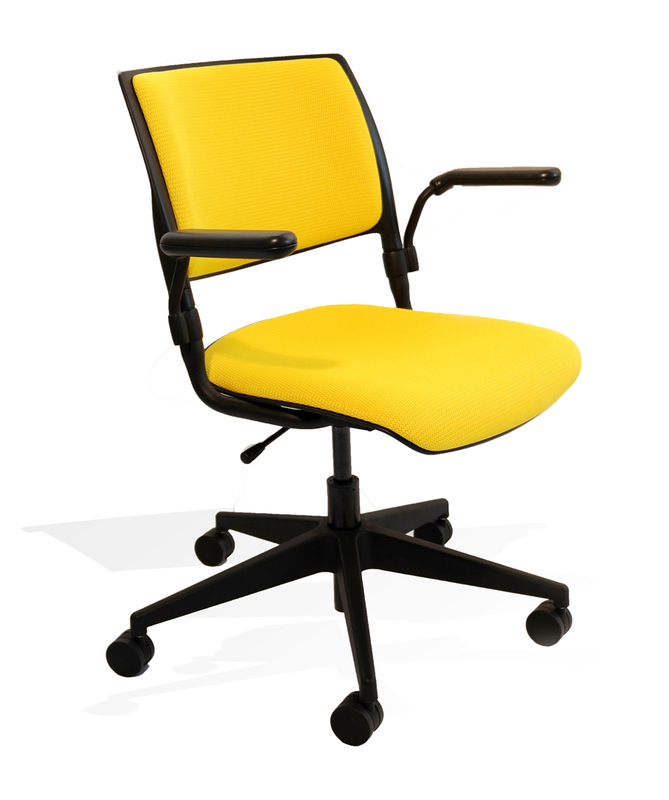 Nima is also available with upholstery options – call for details. 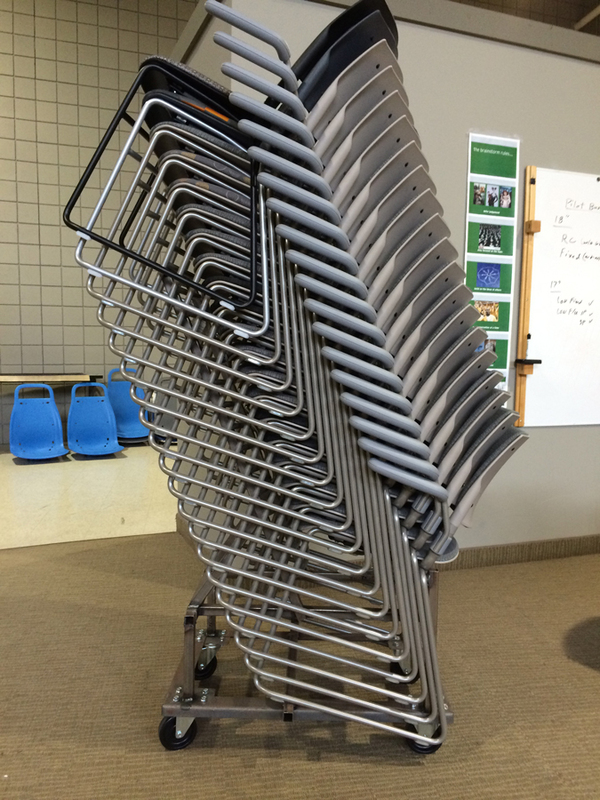 Sled base chairs can stack up to 20 high on a dolly. 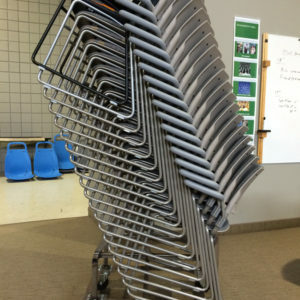 Four leg chairs can stack up to 16 high on a dolly . 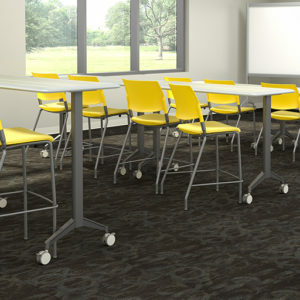 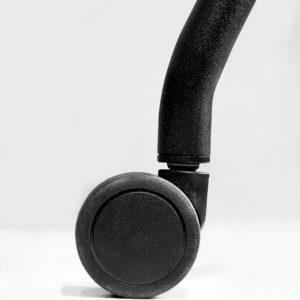 Choose from a wide array of styles, options and finishes. 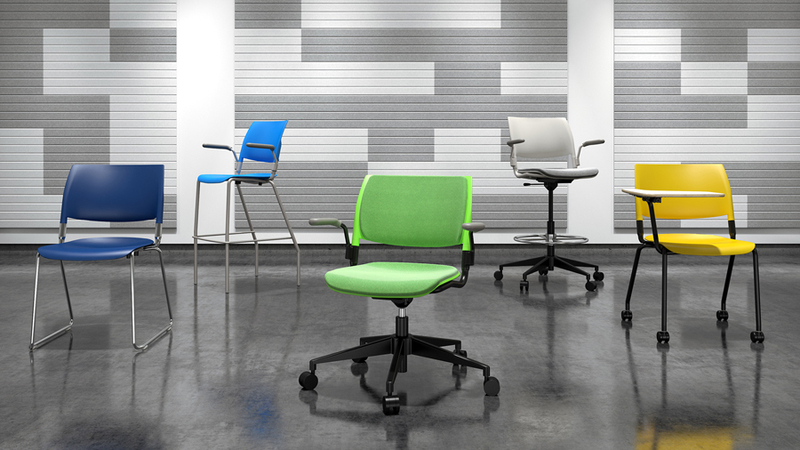 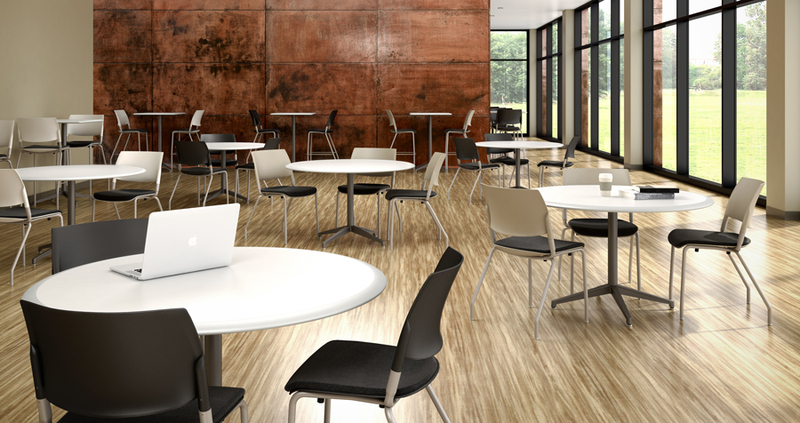 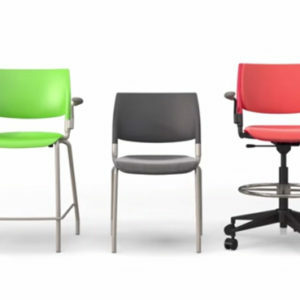 The chair family offers stacking and mobile options, providing end-users and specifiers the flexibility to reconfigure their spaces as needed.